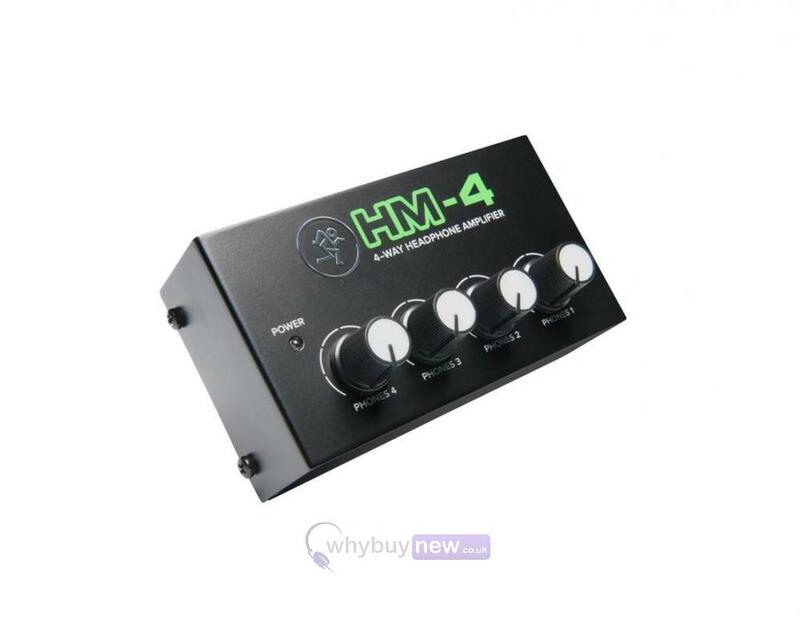 The Mackie HM-4 is a compact, 4-way headphone amplifier in the Mackie HM series. It features a 1/4" unbalanced stereo input and 4x 1/4" unbalanced headphone outputs with independent level controls, allowing you to divide a single stereo signal between up to four separate pairs of headphones. This can be useful in various scenarios, such as splitting a phones mix in a recording studio or sharing an audio output with family or friends to watch a film. The HM-4 is powered by the included 12 V AC adapter and features a power LED, which illuminates when the amp is successfully connected to the power source. The ultra-compact HM-4 offers a simple yet effective way to split a single stereo signal out into four pairs of headphones. Perfect for quickly splitting a phones mix in the studio or even crowding around a tablet to watch a movie at home. The ultra-compact HM-4 4-Way Headphone Amplifier features a 1/4" stereo input and four 1/4" headphone outputs with individual level controls. Perfect for studios or even at home when up to four people want to listen together.